​Hanoi (VNA) – Vietnam welcomed more than 8.47 million foreign visitors in the first eight months of the year, up 29.7 percent against the same period of last year, and served 52.8 million domestic tourists, earning a total of 335.8 trillion VND (14.7 billion USD) in revenue. In August only, the country attracted over 1.2 million foreigners, a monthly increase of 18.5 percent. This is the sixth time in 2017 Vietnamese tourism drew over one million international tourists in a month. In August, the country’s tourism sector launched numerous tourism promotion events overseas, such as in Australia and China. The Vietnam National Administration of Tourism will organise a tourism promotion event in Cambodia from August 28-30. According to the latest report of the United Nations World Tourism Organisation (UNWTO), Vietnam was ranked 10th in the list of emerging destinations favoured by tourists worldwide. Meanwhile, the world’s largest tourism website TripAdvisor announced a list of ten most attractive spots in Vietnam voted by tourists. Notably, the central province of Quang Binh climbed to the fourth in the list, behind Hoi An, Hanoi and Ho Chi Minh City only. 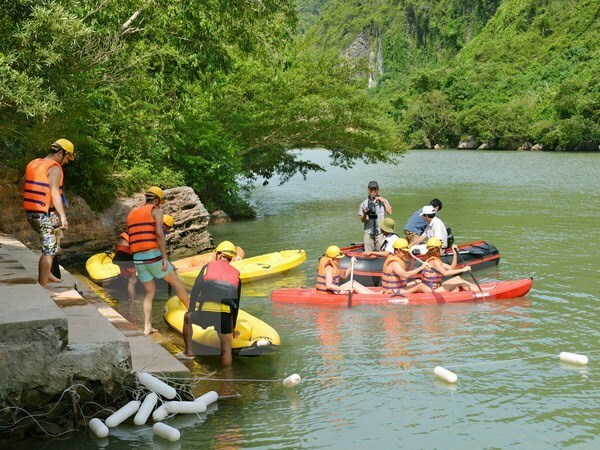 According to TripAdvisor, Quang Binh was described as a heaven for exploration and experiences with various tourism destinations and routes such as Son Doong cave, Tu Lan cave system, Da Nhay beach and Phong Nha- Ke Bang cave, among others.